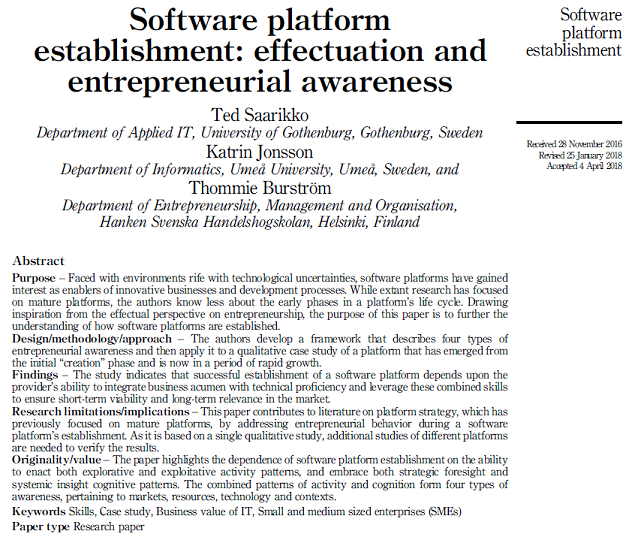 Researchers from SCDI as well as Hanken School of Economics have written a paper entitled Software platform establishment: effectuation and entrepreneurial awareness. The paper offers an entrepreneurial perspective of platform establishment and focuses on the early phase in a platform’s life-cycle. Please click the image below to access the full article.